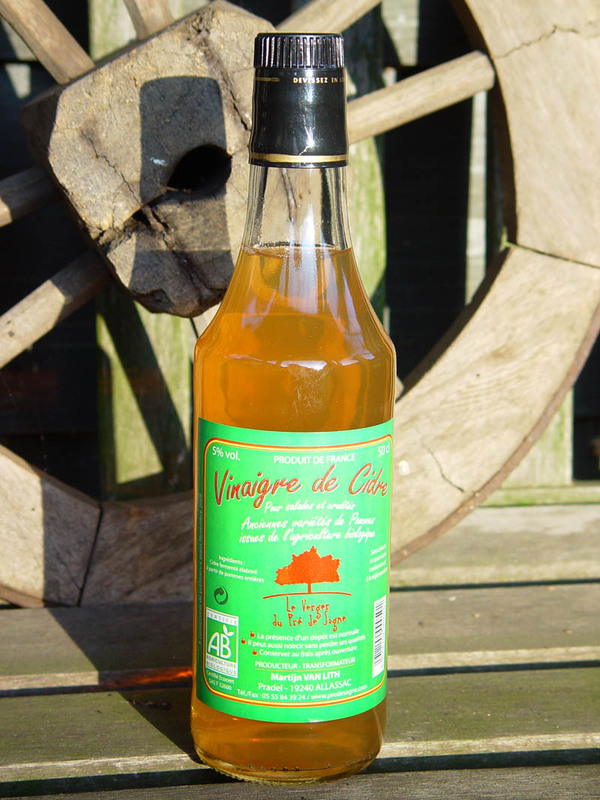 This high quality organic apple cider from the Corrèze region is made of a mix of several old apple varieties of the farm and has been « racked » several times in order to slow down the fermentation. The cider is a 100% pure apple juice cider, made of the first pressing and without preservative food additives or colorants. Bottled according to the champaign method at its optimal stade, the cider gets sparkling in a natural way in the bottle. I only make a demi-sec cider. 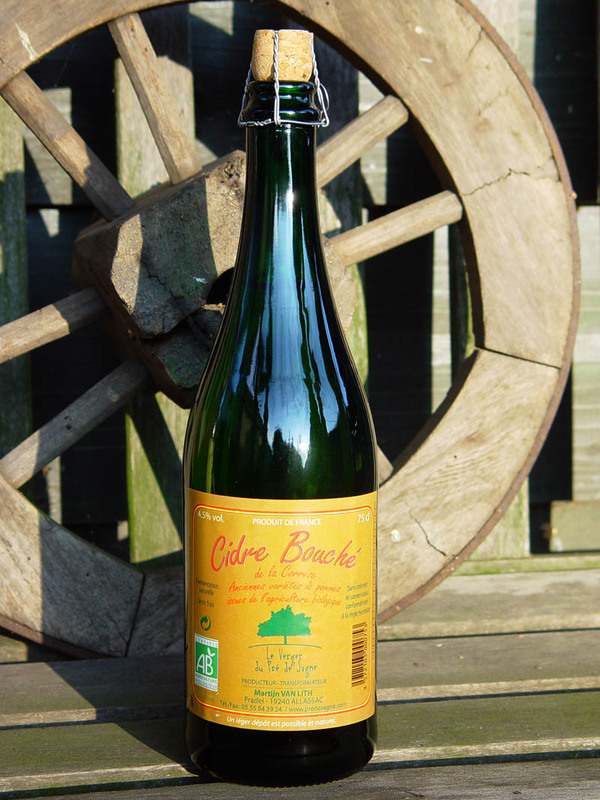 Fruity and with a certain acidity, golden-orange coloured and with the taste of the « terroir », this cider pleases the most delicate taste buds. Served cool, the cidre is the perfect aperitif or drink to accompany all your dishes. My organic apple juice is made of a mix of old apple varieties from the farm. 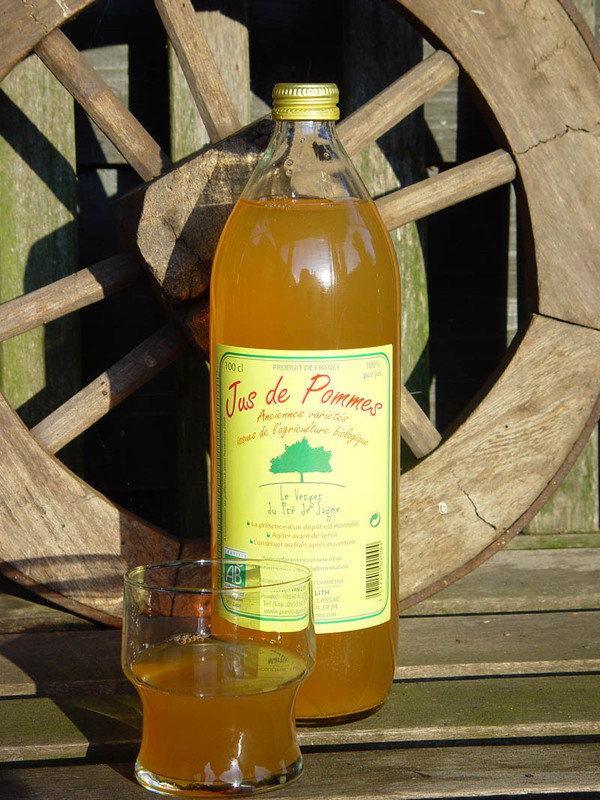 It is a 100% pure apple juice without any preservative food additives nor colorants. There is no sugar added. The apples are all handpicked, washed, ground down and pressed at the farm. After one night of resting, the apple juice is pasteurized for a conservation up to two years. My apple cider vinager is a raw and unfiltered organic vinager, produced naturally according the ancient traditional method. The vinager has aged in containers and is non-pasteurized. The apple cider vinager is used in dressings for crudities or salads but it is also known as grandmothers old remedy used and appreciated for its numerous positive health effects. I am selling all my products by appointment at the farm. 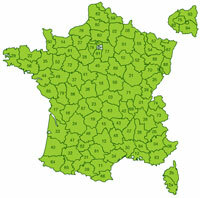 If you're not able to visit me, you can find my products in a large number of shops .